Hosting a gold party can be a great way to earn money for your favorite charity or organization. 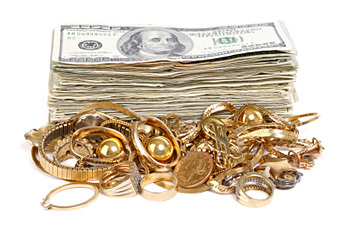 It's a fun and easy way to get people involved; all they have to do is bring their unwanted gold or precious metals and we'll do the rest. We will give your charity or organization a 15% contribution of the volume of gold or precious metals that are purchased at your organization. We value your commitment to your charity and want to support your cause. We can help make your fundraiser a success. Churches, Synagogues, Schools, Fraternities, Sororities, Non-profits, Local sports clubs or any charitable organization can benefit. Solomon Schechter, P.T.O., Susan G. Komen Foundation for Breast Cancer Research, St. Judes Hospital, Marines in Iraq, Mama Mare Foundation, Rose's Fund for Animals, Centra State Hospital Associated Auxiliaries, Robert Wood Johnson University Medical Center, Aish of Denver Colorado, Chabad of W. Monmouth, Easter Seals New Jersey. Contact us today for details and to learn more about getting started with your fundraising event.